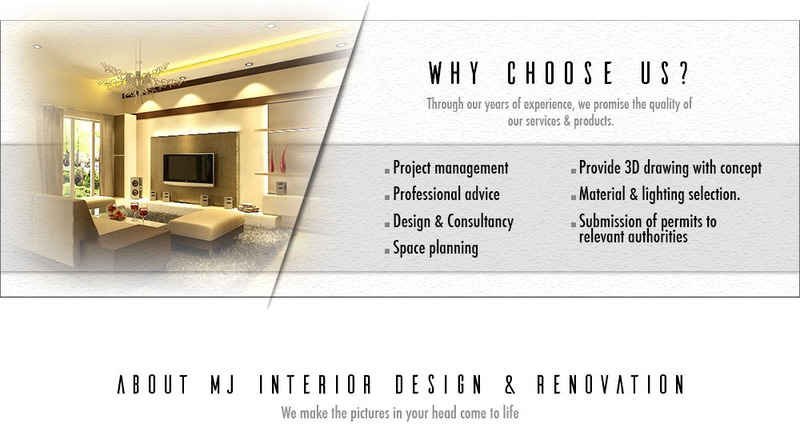 MJ Interior Design & Renovation is an interior design and renovation company. Our main office is located in Penang, Malaysia. Our services include conceptualization design & consultation, 3D visualization, material specification, site inspection / coordination, home interior design, retail outlet interior design, office & commercial, F&B outlet interior design, layout plan, 2D drawing layout plan, etc. Shall you have any further enquiries, please feel free to contact us.